Punjab and Haryana high court clerk exam result declared at official website of SOCIETY FOR CENTRALIZED RECRUITMENT OF STAFF IN SUBORDINATE COURTS i.e. sssc.gov.in. Candidate who apeared in the examination can check their result on the official website or a direct link of result given in this article. A list of candidate is released in result pdf, all qualified candidate are called on 20th Feb, 2018 for further instructions. 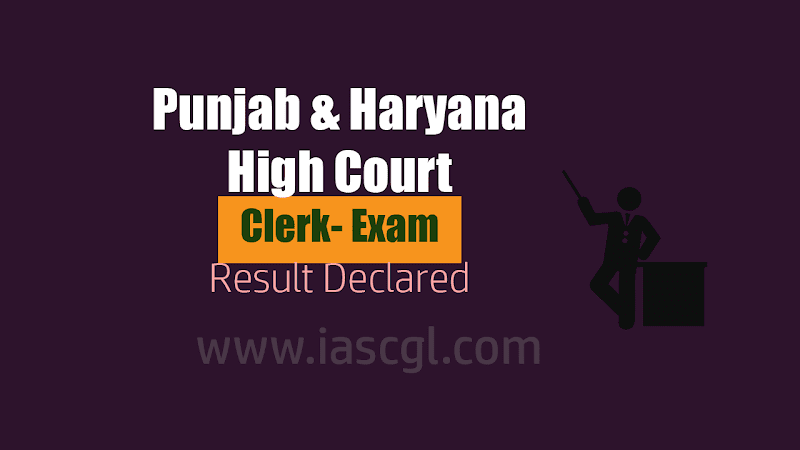 Click here to Check Punjab and Haryan High Court Clerk Result.